HÀ NỘI — The Ministry of Construction has asked provinces and cities to report on home ownership by foreigners and Việt kiều (overseas Vietnamese) in Việt Nam. The report would include the number of foreigners owning homes, as well as the locations and types of their properties in two periods – before and after the 2014 Law on Housing took effect. The report will help evaluate the implementation of the policy of allowing foreign organisations, individuals and Việt kiều to own homes in Việt Nam while the Ministry of Construction develops a project on economic security in the housing and real estate market. 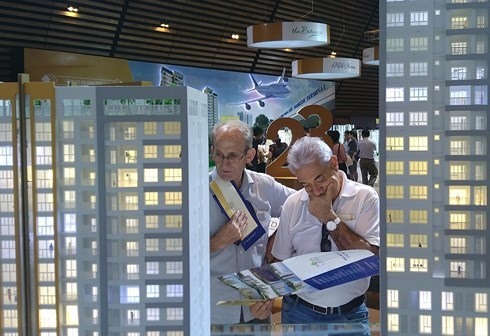 At the end of 2018, CBRE Việt Nam revealed that purchases by Chinese buyers accounted for 31 per cent of the foreign purchasers of homes in HCM City conducted via the real estate company in the first nine months of the year, followed by South Korea (19 per cent), people from Hong Kong (10 per cent) and Americans (3 per cent). Most of their purchases were high-end apartments. Real estate services firm JLL said that foreign interest in Việt Nam’s property market has grown significantly since the Law on Housing officially allowed foreigners to own homes in the country.